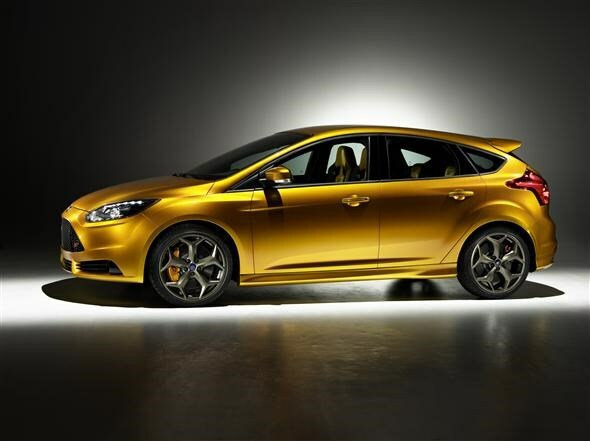 Ford's new Focus is to get a range-topping ST version when the car is unveiled at the Paris Motor Show. Due to go on sale in late 2011, the ST will join the new Focus range that launches in March of next year. 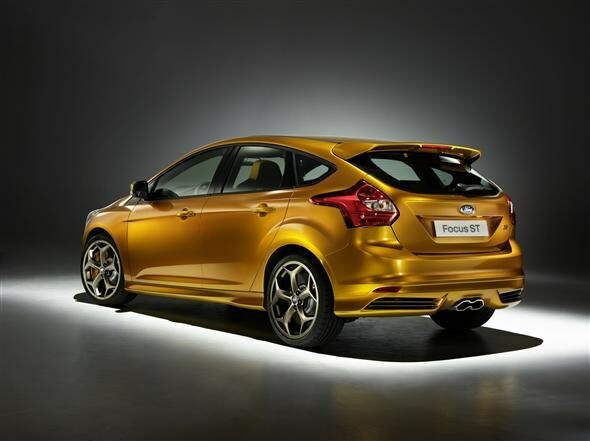 Loud paintwork was the calling card of the previous Focus ST, and it looks like Ford will carry on that trend. The car shown in the pictures is finished in ‘tangerine scream'. lt gets a new 247bhp 2.0-litre turbocharged engine in favour of the previous model's 2.5-litre. Although smaller, the new car delivers 25bhp more than the last model. A reduction in engine size is sure to help with CO2 emissions, meaning road tax and company car tax bands are likely to be improved. Expect more information on emissions and performance as we get closer to the launch. The new Focus is the first Ford to be universal across all international markets. The UK car shares its looks and 80% of its parts with cars from the rest of the world, allowing Ford to cut costs. Ford in looking to cut its CO2 emissions by 30% on new vehicles by 2020. The new C-Max, Mondeo and the new ECOnetic Mondeo will also be appearing at Paris as will an eco Ka that features Ford's new stop/start system.